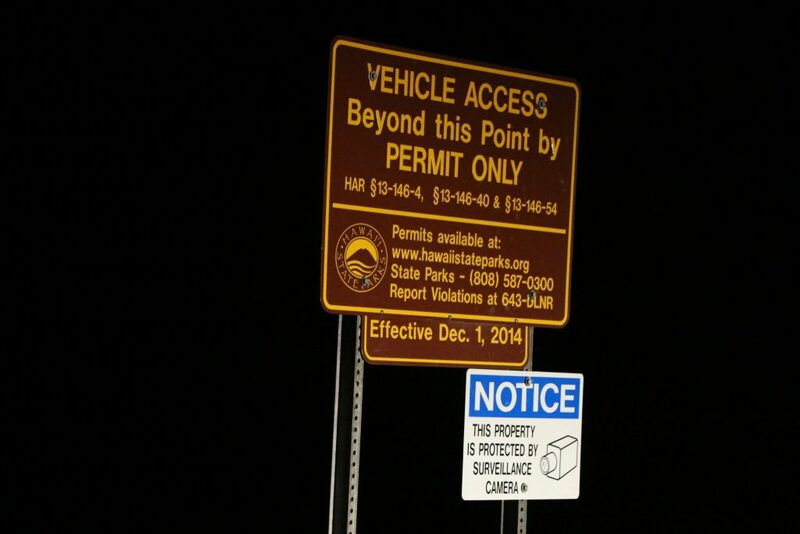 HONOLULU — Due to tremendous unanticipated and unprecedented demand the DLNR Division of State Parks is not issuing additional 2017-18 vehicle access permits for Ka‘ena Point. The threshold of 10,000 permit decals has been reached for the permit period and all have been assigned. All approved 2017-18 permits will remain valid through December 31, 2018. State Parks will begin issuing 2019 vehicle access permits in early November. The exact date will be announced next month. At that time, current permit holders may renew existing permits and new applicants may apply. Once issued, the 2019 permits and vehicle decals will be considered valid through the end of 2018 and for all of 2019. Permit applicants must be residents of Hawaiʻi living on Oʻahu. The vehicle access special use permit is required to drive into Ka‘ena Point State Park Reserve, Mokuleia section, beyond the gate and the paved road that ends at the gravel parking area. Initiated in 2015, primarily as a cultural and natural resources management tool, the permit system aimed to curtail 20 years of increasing landscape degradation caused by uncontrolled four-wheel drive vehicle use in the reserve. The permitting system was generally supported by the broader community as a way to protect this sensitive area. Permit conditions require drivers to remain on a limited number of designated dirt roads. Parks officials stress that this is not a four-wheel drive recreation area – but that the designated roads are intended for fishing, sightseeing and coastal access. The road ends at the fenced Ka‘ena Point Natural Area Reserve. State Parks initially expected to issue 600 to 1,000 permits annually. The majority of valid permit holders only access the park less than three times annually. State Parks anticipates maintaining a permit to honor the original intent of the permit system to help protect the resources of Ka‘ena from uncontrolled vehicle use.